Click here to listen to recently recorded sermons. The Rev. Peter Huiner has been an Associate Priest at SsAM for many years. 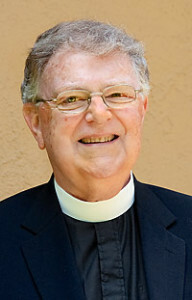 From September 2007 through August 2008, he served as Interim Rector. A native of Chicago, his varied career has included parish ministry as well as school and Diocesan administrative posts in Illinois, Michigan, New York, and Delaware.